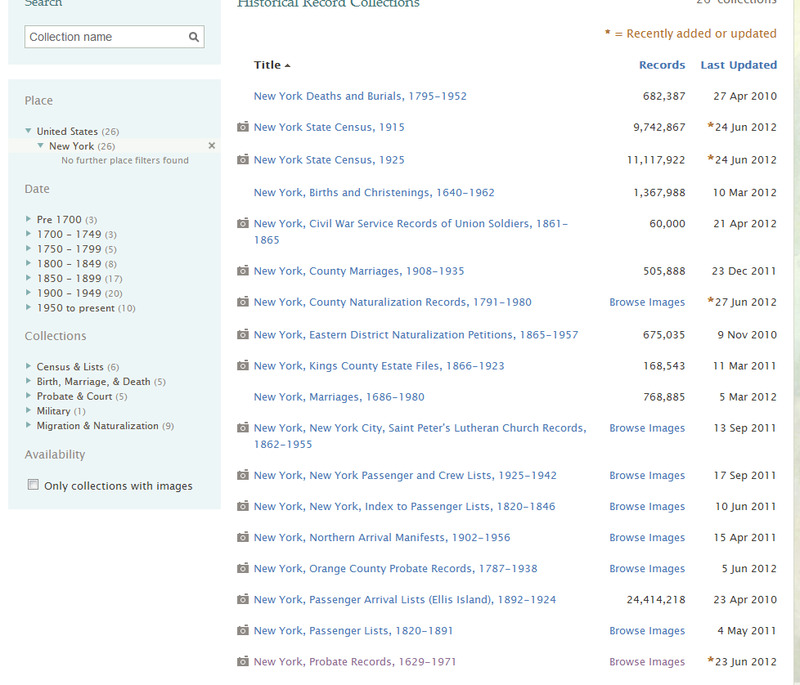 FamilySearch added many New York probate records recently and I have been having some good luck finding records. But, it can be a bit of a process to get to the records. So instead of just posting a copy of one of my finds, I'll post about the process I went through to get to it. The person I will be looking for is Francis Plaine Smith. I do not know when he died or where. But, I do know he was living in Oyster Bay, Queens, New York at the time of the 1870 US Census and that he does not appear in any subsequent censuses. 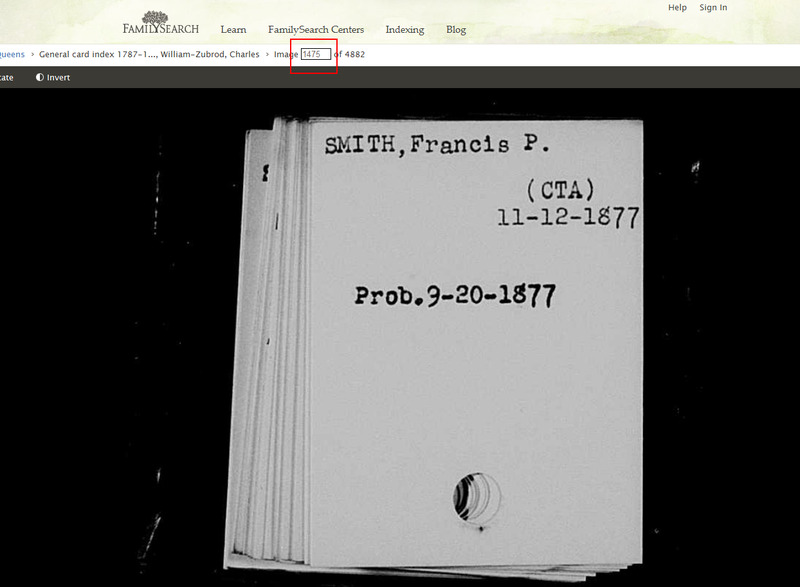 With these images (as with all images on FamilySearch) I can make viewing adjustments (in the red box), save to my computer or print (encircled in red) or skip ahead to the previous or next image (encircled in blue). 5) According to the card above, Francis' will can be found in volume 4, page 231. Francis' information is in the red box. I know I'm in the right place. 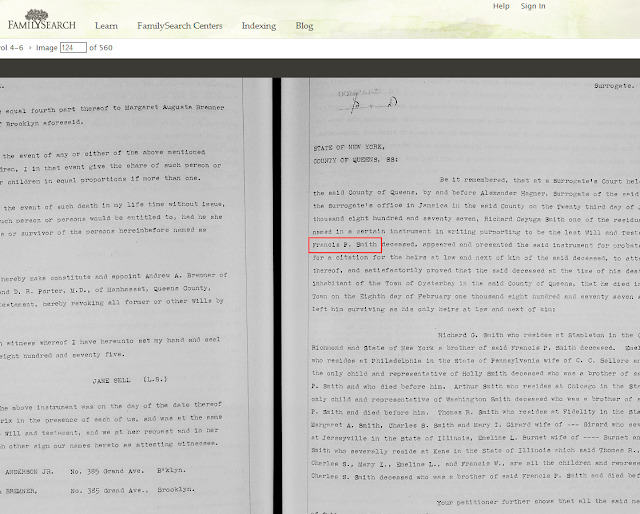 After reading the will, I know for sure that this Francis P. Smith and my Francis Plaine Smith are one and the same. It is a wonderful document that not only gives me Francis' death date and place, but also a listing of his living brother and many nieces and nephews as well as their places of residence in 1877. With a name like 'Smith,' several of these people were brick walls for me before this document gave me locations in which to search for them. 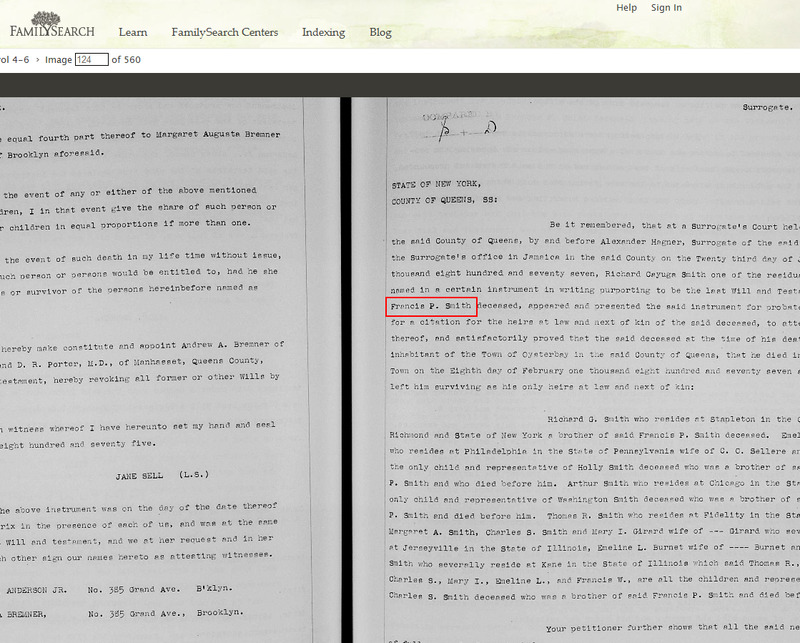 I am so thankful that FamilySearch added these documents. If you have New York ancestors this collection is certainly worth a look. I hope this makes navigating FamilySearch easier, if not I'd be happy to help. 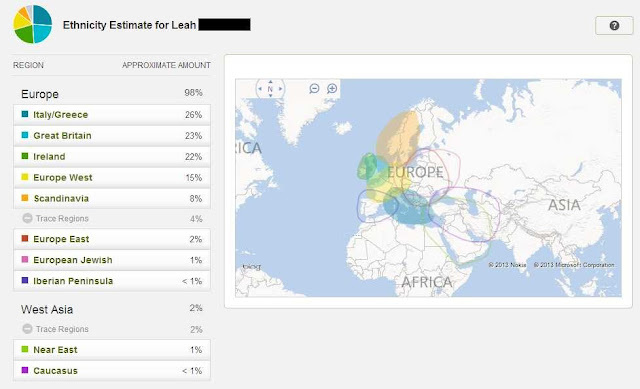 Disclosure: I am in no way affiliated with FamilySearch or The Church of Jesus Christ of Latter-day Saints, nor did I receive any remuneration of any kind from anyone for writing this post. This is a nice brief navigation guide. Researchers should realize that in many cases only a few types of, or limited date-ranges of types of, records have been uploaded - and it is not always obvious what material is missing. For Seneca County, for instance, Will Book A2 is missing, and for most or perhaps all Counties the estate files which may have extremely helpful affidavits are not available. Yet every County has its pluses and minuses. 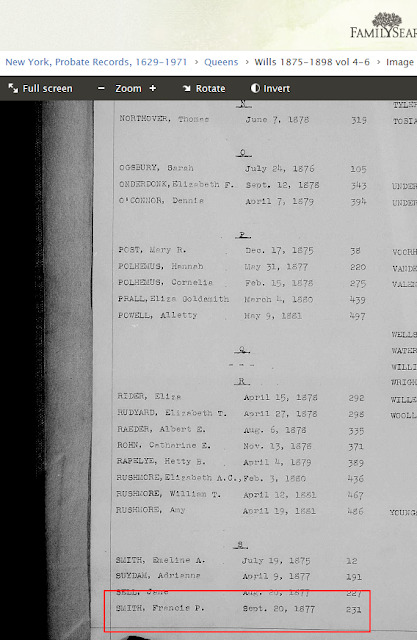 Researchers should look at the FHL Catalog for each County, looking at categories other than the catch-all "Probate Records" listing which has a lot more than just probate-of-wills material. In many instances the GSU and FHL did not microfilm all records held by the Surrogate Courts or earlier authorities or the appellate courts that handled many estate matters (whether in law or in chancery). So as usual, what's "on the web" is a pleasing and still tantalizing Tip of the Iceberg.